If you need to connect to your wireless network with a new machine and have forgotten the key, you can view the WEP or WPA key in cleartext using the following procedure on a machine that has connected before. 1. 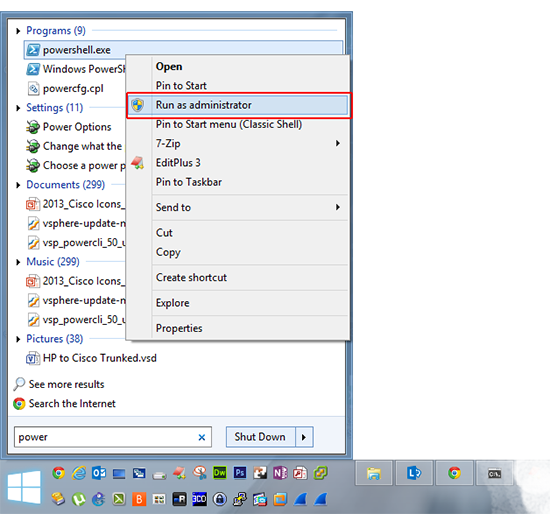 First launch PowerShell, ensure you ‘Run as administrator‘. 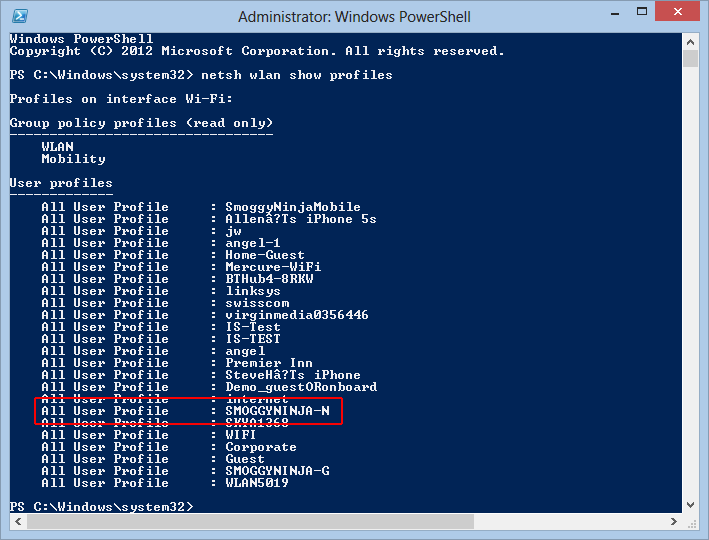 You can also export the profile from one PC to another one, (so you don’t have to enter the key on the new PC), with the following two commands. 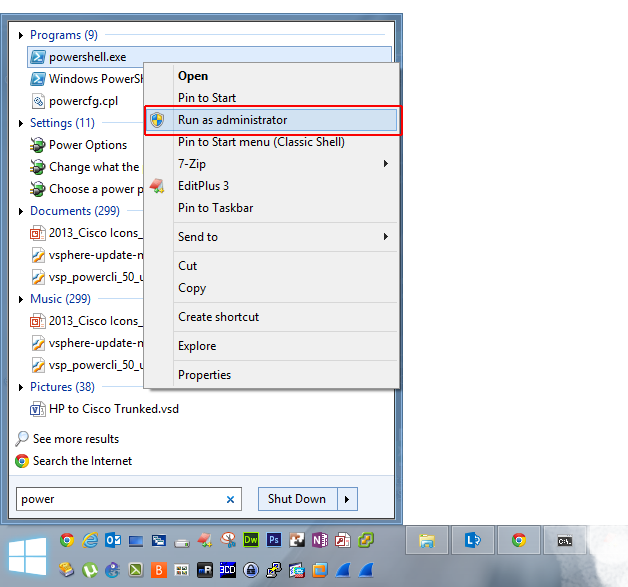 Copy the WiFi folder you created in the step above, to the new PC/Laptop. 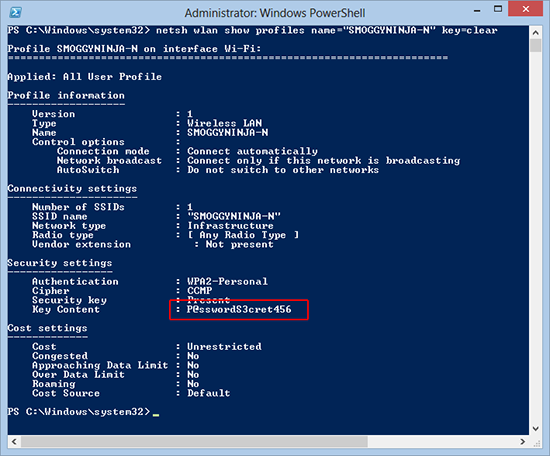 Then execute the following command. Note: Change the section in red to match the path to your XML file.